Luisa Miller is an opera in three acts by Giuseppe Verdi to an Italian libretto by Salvadore Cammarano, based on the play Kabale und Liebe (Intrigue and Love) by the German dramatist Friedrich von Schiller. Oh! fede negar potessi agl’occhi miei! Tanta perfidia! Un’alma sì nera! Si mendace! Ben la conobbe il padre! Oh! I wish I could deny my own eyes! All lies…this is her hand! So much treachery! A black soul! A liar! Well my father knew her! Everything is a lie, deceptive betrayal! tu m’appartieni a me a me, a me, a me. My heart throbs… wondrous scene! At last I embrace you, land that I’ve dreamed of! I can offer you to my homeland! Which can enrich all Europe! I Lombardi alla Prima Crociata (The Lombards on the First Crusade) is an operatic dramma lirico in four acts by Giuseppe Verdi to an Italian libretto by Temistocle Solera, based on an epic poem by Tommaso Grossi. Werther is an opera (drame lyrique) in four acts by Jules Massenet to a French libretto by Édouard Blau, Paul Milliet and Georges Hartmann (who used the pseudonym Henri Grémont). It is loosely based on the German epistolary novel The Sorrows of Young Werther by Johann Wolfgang von Goethe, which was based both on fact and on Goethe’s own early life.Werther is madly in love with Charlotte, his friend’s wife. To forget her, he has run away. But when he returns, he finds he is more in love than ever. Werther recites a favorite poem for Charlotte, and at last realizes that fatal truth: Charlotte can never return his love. The “Bridal Chorus” (“Treulich geführt” in German), from the 1850 opera Lohengrin, by German composer Richard Wagner, is a march played for the bride’s entrance at many formal weddings throughout the Western world. In English-speaking countries it is generally known as “Here Comes the Bride” or “Wedding March,” though, actually, “wedding march” refers to any piece in march tempo accompanying the entrance or exit of the bride, notably Felix Mendelssohn’s “Wedding March.” The piece was made popular when it was used as the processional at the wedding of Victoria the Princess Royal to Prince Frederick William of Prussia in 1858. Recondita Armonia is the first romanza in the opera Tosca, by Giacomo Puccini. It is sung by the painter Mario Cavaradossi when comparing his love, Tosca, to a portrait of Mary Magdalene that he is painting. È bruna Floria, l’ardente amante mia. Concealed harmony of contrasting beauties! Floria, my ardent lover, is dark haired. Tosca, it is of you! “E lucevan le stelle” (“And the stars were shining”) is a romanza from the third act of Giacomo Puccini’s opera Tosca, composed in 1900 to an Italian libretto by Luigi Illica and Giuseppe Giacosa. It is sung by Mario Cavaradossi (tenor), a painter in love with the singer Tosca, while he waits for his execution on the roof of Castel Sant’Angelo. ‘Twas hers, the fragant creature. In her soft arms she clasped me..
A thing of beauty, of matchless symmetry in form and feature! My dream of love is now dispelled forever. I lived uncaring and now I die despairing! François Borne (1840–1920), sometimes spelled Bourne, was a French flautist playing with the orchestra of “Le Grand Théatre de Bordeaux” (Bordeaux Opera House), composer and professor at “Conservatoire de Musique de Toulouse” (High School for Music in Toulouse). He is recognized for technical improvements to the flute. Furthermore, he is remembered today for his composition Fantasie Brillante on Themes from Bizet’s Carmen which is a staple of the Romantic flute repertoire. “Mamma” is a popular song first written in 1941 by Cesare Andrea Bixio with Italian lyrics by Bixio Cherubini under the title “Mamma son tanto felice” (Mum, I am so happy). Cesare Andrea Bixio (11 October 1896 – 5 March 1978) was an Italian composer. He was one of the most popular Italian songwriters of the 1930s, ’40s, and ’50s. 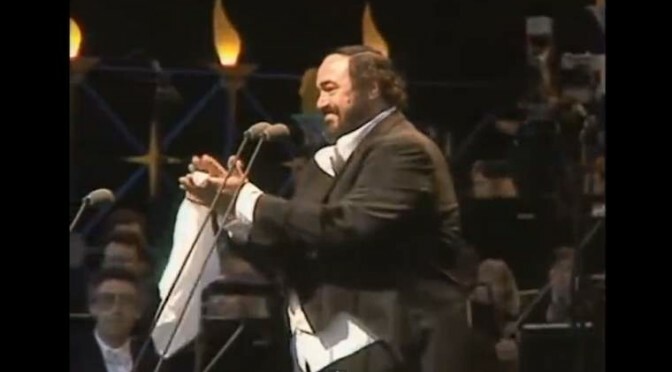 The performers of this song included: Beniamino Gigli, Luciano Tajoli, Richard Tucker, Claudio Villa, Robertino Loreti, Violetta Villas, Muslim Mogomayev, Luciano Pavarotti, Toto Cutugno, Andrea Bocelli, Sergio Franchi, Romina Arena, and Mario Frangoulis. In 1946, the English lyrics were written by Harold Barlow and Phil Brito who had their popular recording hit the charts in May 1946.
why should we live apart? A song by thte Italian composer Cesare Andrea Bixio. che fugge… come sei fuggita tu. solo al pensiero che la baci tu. perch? non torni ? primavera. who escapes … you as you run away. at the thought that the kisses you. why? do not come back? spring. Non Ti Scordar di Me (Don’t Forget About Me) is a song composed by the Italian composer Ernesto De Curtis (October 4, 1875- December 31, 1937). It is originally written for the legendary Italian tenor Beniamino Gigli (March 20, 1890 – November 30, 1957), who sang it in his 1935 film of the same name. And lovely and happy nests. Manon Lescaut is an opera in four acts by Giacomo Puccini. The story is based on the 1731 novel L’histoire du chevalier des Grieux et de Manon Lescaut by the Abbé Prévost and should not be confused with Manon, an 1884 opera by Jules Massenet based on the same novel.The libretto is in Italian, and was cobbled together by five librettists whom Puccini employed: Ruggero Leoncavallo, Marco Praga, Giuseppe Giacosa, Domenico Oliva and Luigi Illica. The publisher, Giulio Ricordi, and the composer himself also contributed to the libretto. So confused was the authorship of the libretto that no one was credited on the title page of the original score. However, it was Illica and Giacosa who completed the libretto and went on to contribute the libretti to Puccini’s next three – and most successful – works, La Bohème, Tosca and Madama Butterfly. Tra voi, belle, brune e bionde. Dal labbro rosa, me m’aspetta? Sei tu quella, bionda stella? Sei tu quella, bruna stella? Between you, beautiful, brunettes and blondes. From pink lip, me waiting for me? You’re the one, blonde star? You’re the one, brown star? Donna non vidi mai (English:I have never seen a woman) is an aria from the first act of Giacomo Puccini’s opera, Manon Lescaut. Donna non vidi mai, simile a questa! a nuova vita l’alma mia si desta. I have never seen a woman, such as this one! my soul awakens to a new life. wander around in my mind. And come to carress my innermost fibers. It’s my own sun that’s upon your face! The sun, my own sun, it’s upon your face! “Torna a Surriento” is a Neapolitan song said to have been composed in 1902 by Ernesto De Curtis to words by his brother, Giambattista. The song was copyrighted officially in 1905; it has since become wildly popular. ca, scetato, ‘o faje sunná! tiene ‘o core ‘e nun turná?! nun ll’ha visto comm’a ccá! do you have the heart not to return? the buried treasure it has!